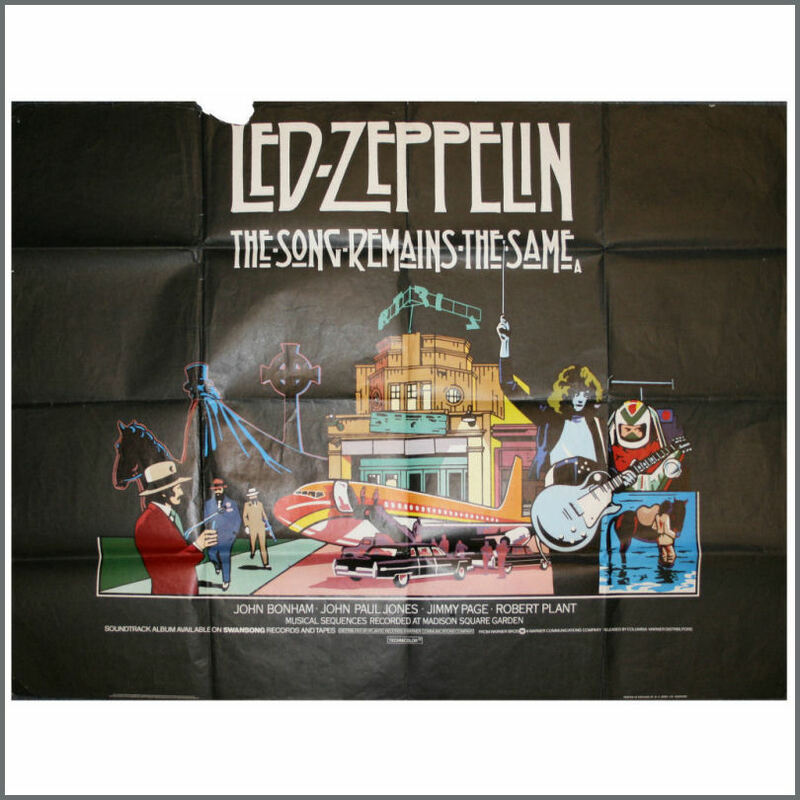 An original UK black quad poster for the Led Zeppelin film ‘The Song Remains The Same’. The poster measures 102cm x 76cm (40 inches x 30 inches). Machine folded. There are pin holes along the edges and a section missing from the top edge. The condition is very good minus.